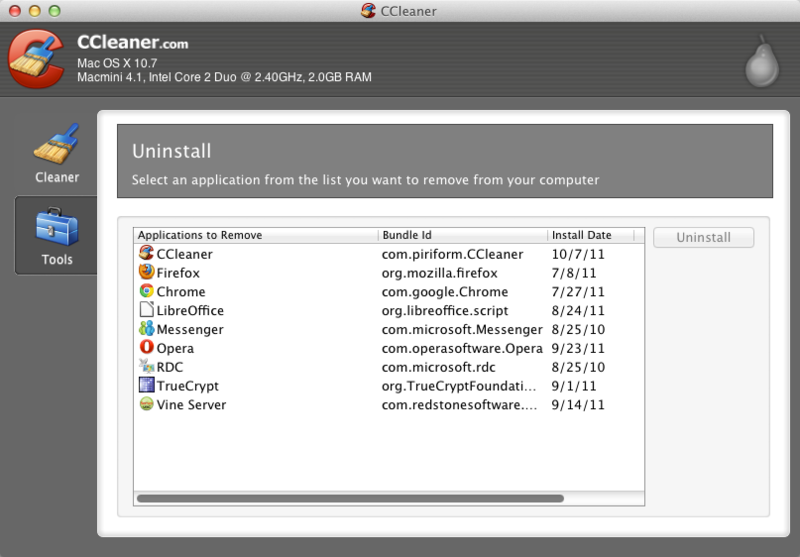 Finally CCleaner for Mac Final version available for download after waiting for long time in beta version. Earlier this software available for Windows OS only but Piriform Ltd has developed this software for mac and now everyone can download CCleaner for Mac final version. With the final released, its a good news for Mac users, because in addition this software is free and it also powerful. As in the Windows version, CCleaner Mac version also having almost same features, this software is useful for cleaning cache, cookies, browser history, log file that can reduce performance on the your MAC OS. 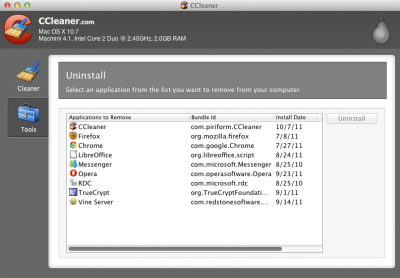 To clean all the junk files, CCleaner can do in one click. This software is best alternative software to CleanGenius. Many features has fixed in this final release. This version now more stable in the MAC OS X Lion, several bugs have been fixed and improved in some features. CCleaner MAC final is also support five popular browsers (Safari, Google Chrome, Firefox and Opera). If you are interested in trying this software you can download CCleaner for MAC in the Piriform website. For users of Windows and can read a previous post about the CCLeaner for Windows. Related to "Download CCleaner for MAC Final Version"